If you are considering a move to Spain, either to purchase a property or just to rent for a couple of months, the cost of living will be very much in your mind. Prices may be different in other parts of Spain, especially in bigger cities such as Madrid and Barcelona, so bear in mind that the prices you are reading here are applicable to the area of La Axarquía – to the east of the city of Málaga on Andalucía’s Mediterrean coast. The kind of lifestyle you choose to embrace is also an important ingredient in the financial mix. My family eat fresh, locally-grown seasonal produce, buy mostly Spanish-branded foods at the supermarket, and eat and drink in bars and restaurants where the locals hang out. This has not only saved us money, but we feel has also enhanced our experience of moving abroad. If your choice would be to only buy internationally-branded foods and eat in tourist areas then you will find costs are considerably higher. So, whether you’ve always dreamed of moving to southern Spain or you’re just curious, here is my up-to-date cost of living report. Whether you choose to rent or buy is a matter of personal choice depending on how long you want to stay. My advice would be to rent for a full twelve months prior to buying so that not only will you get a good feel for the area, but also you’ll experience it through all the seasons. This summer, Spain has been experiencing a long heatwave, but temperatures can be surprisingly chilly inside the house during the winter months. It’s no secret that Spain has been gripped by a financial crisis over the past few years, but the signs are that things are improving. House prices are up to 20% lower than they were in 2006/2007 and there are plenty of houses on the market for sale. (For an idea of individual prices, search for estate agents on Google using the search terms: Axarquia, east of Malaga, or by the name of any of the villages or towns in the area including Nerja, Frigiliana, Competa, Torrox or any of the others I have written about previously on this blog). Another key factor to bear in mind is the fluctuating currency exchange rate between your home currency and the Euro, especially if you need to transfer large amounts of money into Spain. As I write, the exchange rate stands at an 8-year high and would give more than €1.43 for each British pound sterling (£1). This has made a considerable difference to our income from when the rate stood around €1.08 a few years ago. You can easily rent a lovely furnished apartment with 2-3 bedrooms, 1-2 bathrooms and a communal pool, on the coast but away from the main tourist area, for €450- €500 per month (on an 11 month contract). If you choose somewhere further inland or nearer the city, prices will vary, but there’s no substitute for actually being here and asking around. Lots of people know of places available for rent that will never make their way onto websites or an estate agent’s rental list. If you are looking for somewhere to rent in the Axarquía area for a month or two, I have had dealings with, and can recommend Anubis in Torre del Mar. Speak to Anna and tell her I sent you (and no, I won’t earn anything for saying that)! Electricity: For a 3 bedroom/2 bathroom detached house in the countryside with a swimming pool, we pay around €100 per month. Our consumption is generally higher in the summer than in the winter as we have air conditioning units (cooling in summer and heating in winter) plus the swimming pool pump running for 8 hours a day. We try to use the air conditioning sparingly – preferring to open windows during early morning and late evening and make use of the ceiling fans. Although sometimes, especially in July and August, you just have to put the air-con on! Gas: We do not have a piped gas supply here, so we use bottles of gas. This is a common feature throughout many areas in this part of Spain. Gas prices in Spain are strictly controlled by the government, rather than the gas companies. A year ago, a 12.5kg bottle of Butane gas cost €17.50. They are now €14.11 (a reduction of almost 20%), with an 11kg bottle of propane gas costing a mere €12.42. For us, one bottle lasts (on average) four weeks for two people, although this could be longer in summer (depending on how many visitors we have), for all hot water, showers and cooking on a gas hob. Water: Because we live in the countryside, approximately five kilometres from our home village of Cómpeta, we do not have mains water. When we bought our house, part of the purchase cost was for a share in a local water company. We have a 14,000 litre water deposit in which to store our house water. Our water share gives us an allowance of up to 17,500 litres of water each week at reduced cost, though if we use more than this, the price rises steeply. Needless to say, we don´t use this amount of water, even allowing for swimming pool top-ups and garden irrigation in the summer months. Our water company, Patamalara, send out their bills every two months, and some of the cost depends on the amount of repairs that have been undertaken on the system. Over the past twelve months our annual water bill has amounted to €119. IBI or Council Tax: Paid yearly to the local council. This year’s bill is €337 – the same as it has been for the past nine years. We don’t have a rubbish collection here as we live in the countryside, so we have to take all our household waste to one of the collection centres in a local village. Telephone: Living in a mountainous area of the countryside, Telefónica (the largest fixed phone and ADSL operator in Spain) are unable to supply us with land-line telecommunications. We therefore rely on Skype (via the internet) for most calls (which are free to other Skype users, or by using credit, if not) and have a mobile phone contract with Movistar (also owned by Telefonica) which costs €11 per month for 800 MB of data and free calls (after an initial connection charge of €0.18). Internet: We use a 4G wireless internet option from Orange costing €34.95 (inclusive of IVA tax) per month, which gives us 35 GB of data. Orange provide us with a small router which we just plug into an electrical plug socket, and which has the benefit of using the mobile telephone system, thus making it portable. House and Contents Insurance: Based on the re-building costs of the house, including contents, we pay €241 per annum with Linea Directa. The cost of motoring in Spain has fluctuated considerably over the past few years. New cars which until the last year or two were relatively expensive in Spain, now cost a similar amount in euros as their UK equivalent does in sterling. But, the currency exchange rate is €1.43 for each British pound, meaning that at present, some new cars in Spain are considerably cheaper than in the UK, though this is not true of all marques – BMW for example. Second-hand vehicles (often with high mileage) hold their values well in Spain, making a comparable model of the same age in the UK (for example) much cheaper. FUEL: Unleaded petrol (gasolina sin plomo) 95 Octane was €1.52 per litre last year. It is now €1.33 at the Repsol garage in Torre del Mar. Diesel: (gasoil) at the same garage was €1.42 per litre last year and is now €1.16. Diesel: 1.087 €/l at EROSKI, Avenida Juan Carlos I (at the El Ingenio shopping centre) because you can get a further 2% discount by using your credit card if you use the self-service, pay-at-the-pump option. Click HERE for an interesting interactive map displaying the current cheapest petrol/gas stations in the area. Car tax (Impuesto vehiculos traccion mechanica) is based on fiscal horsepower (which bears no resemblance to the mechanical horsepower of the vehicle) and is a means by which the taxation is calculated. This rate of taxation differs from village to village, depending on where you live. For our car, a Peugot 308, the cost is €51.12 per annum. 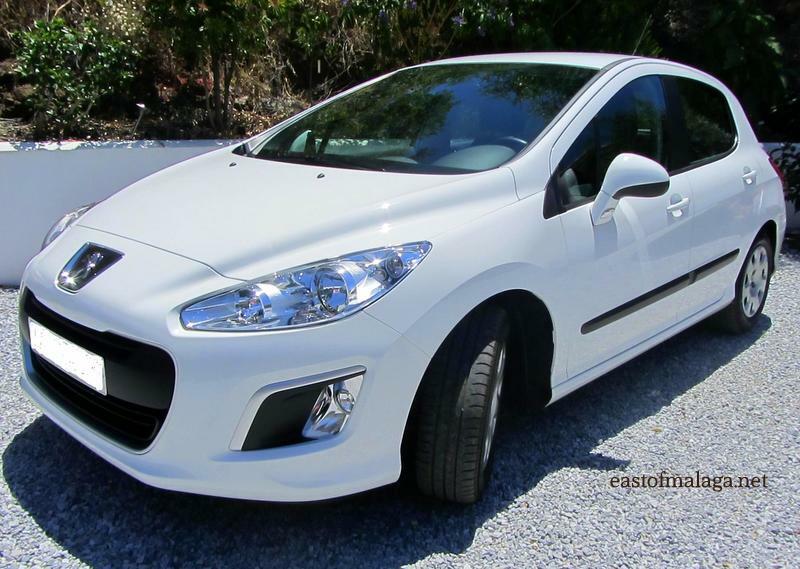 Car insurance for a two year old Peugot 308 1.6 E-HDI (with Linea Directa – the Spanish equivalent of Direct Line in the UK), for fully comprehensive cover with legal assistance included, and an excess of €150, cost €570 two years ago. However, last year we thought we could do better. We asked for quotes from other insurers and threatened to leave Linea Directa unless they matched the price. After initially refusing, they eventually relented and this year our premium was €426. Spain’s public transport system is relatively cheap and reliable. Trains: Because of the mountainous terrain there are no trains running through La Axarquía, though you can catch a train from Málaga to many other Spanish cities, including Granada, Seville, Córdoba, and Madrid. I can certainly recommend the AVE train (Spain´s equivalent of the Bullet Train) as an alternative to budget flights, with favourable prices being found in advance, online, via state-owned train operator, RENFE. Buses: The main bus operator here is Alsina Graells (ALSA). Their website is in English, and from here you can study bus schedules and purchase tickets in advance of your trip. There are generally plenty of buses between towns and cities, and they usually leave on time. Buses may be infrequent to remote villages in the Axarquía, with often only one bus per day or none at all at the weekend. The cost of a bus ticket with ALSA, from Nerja to Málaga, (approx. 60 kms) one way is 4.52 € or €8.18 for a return trip. Tapas: small beer or glass of wine including a tapa 1-2 € (depending on whether it’s a tourist area or not). 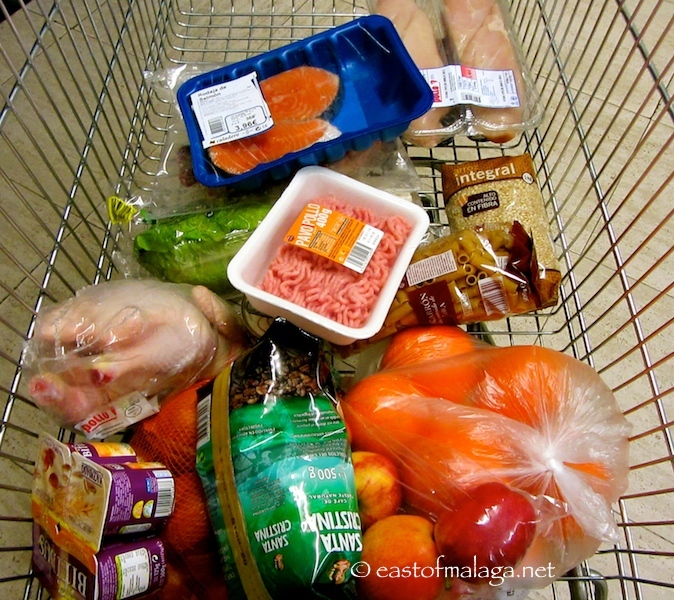 This is the up-to-date Standard Grocery List I have published previously. The first price shown in black is as it was in February 2014, with this month’s prices in RED alongside. 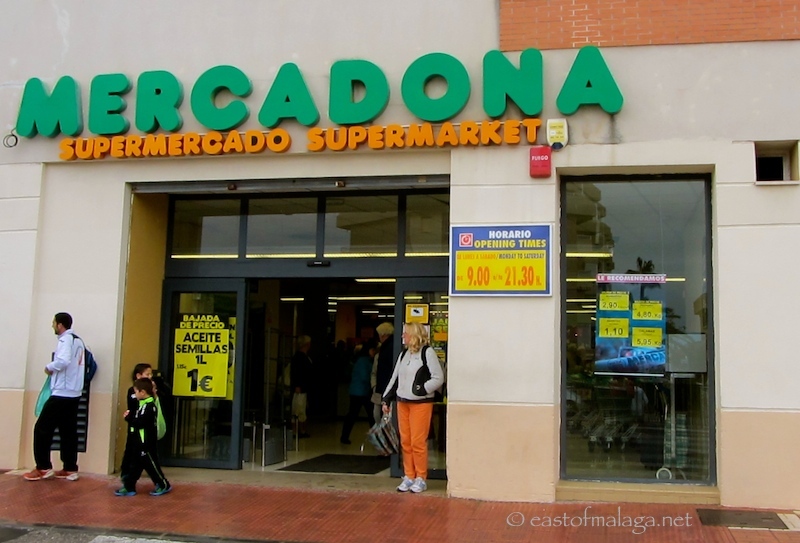 For the sake of comparison, I have once again used the largest Spanish supermarket – Mercadona. So, tell me – HOW DO PRICES COMPARE WHERE YOU LIVE? It’s that time of year when it’s often too hot to eat anything heavy, so this lovely salad not only looks good, but is quick to prepare and really tasty, too. As with most of my recipes, feel free to use more of the ingredients that you like, and substitute the ones you don’t. Put three eggs in their shells into a pan of water and bring to the boil. Allow the eggs to boil for 5-6 minutes, then plunge the boiled eggs into cold water. Once they are completely cool, remove them from their shells and cut into quarters. Whilst the eggs are boiling, chop some carrot, red pepper, green pepper and red onion into small pieces. 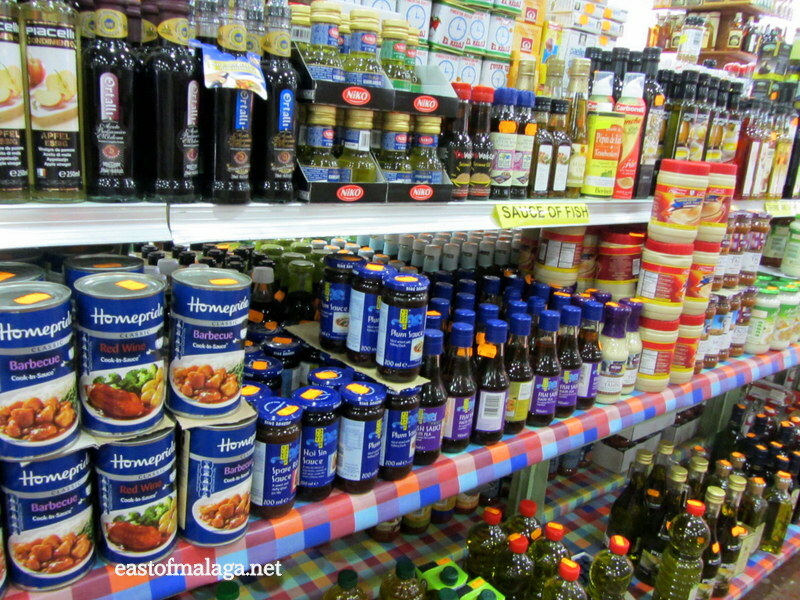 Place all the ingredients into a dish and add salt and pepper, extra virgin olive oil, and lemon juice, to your taste. Mix together. I also added some freshly chopped coriander or cilantro (though you could just as easily use flat-leaf parsley if you prefer), a small jar of ready-prepared red kidney beans and a tin of tuna. Serve with crusty bread and a glass of chilled, white wine. What could be nicer on a hot summer’s day? EDITED TO ADD: My most up-to date COST OF LIVING report for JULY 2015 can be found HERE. Every day, around one hundred people find themselves visiting my blog after typing the search term “Cost of Living in Spain” into Google. 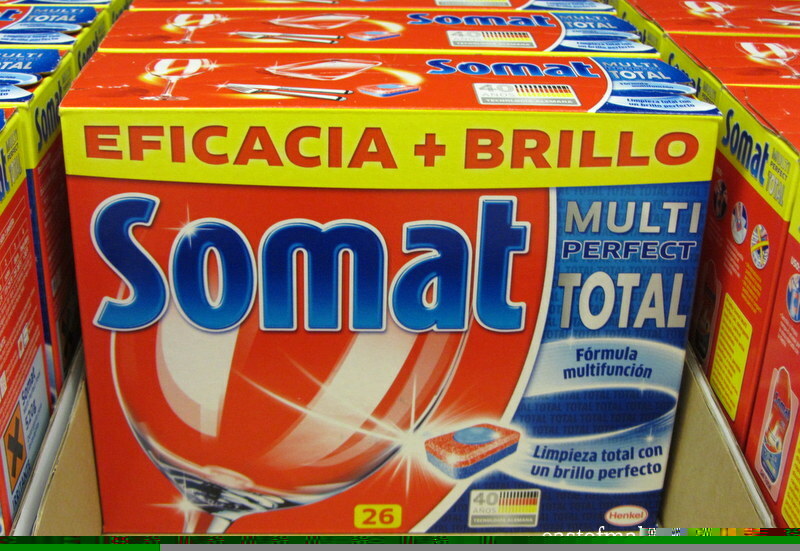 It’s a popular subject, and for that reason each year I publish a list of the current prices of a number of items here in southern Spain. It’s worth bearing in mind that the following information is relevant to the kind of lifestyle and area where I live, east of Málaga. We choose to live like locals, eating fresh, seasonal produce and frequenting bars full of Spaniards rather than tourists. Similarly, if your choice would be to only buy internationally branded foods and eat in tourist areas then you will find costs are considerably higher. So …. 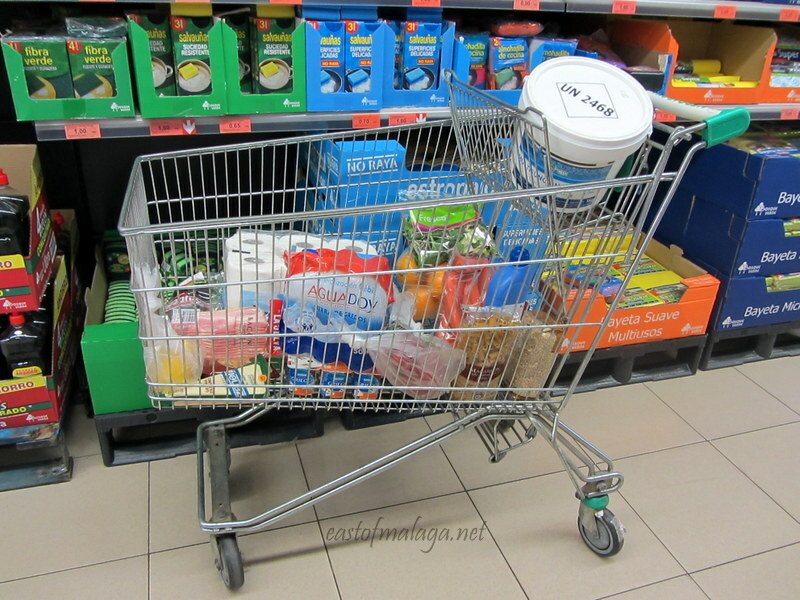 whether you are fed up of the wet weather in the UK, have been dreaming of living in southern Europe for many years or you’re just curious – here’s my updated list of standard grocery items for your perusal. This is the up-to-date Standard Grocery List I have published previously. The first price shown is as it was in August 2013, with this month’s prices in RED alongside. For the costs of accommodation, utilities, motoring, public transport and entertainment – prices are largely unchanged since last time. Please see HERE. Unemployment in Spain is currently running at record levels with 25% of the adult population out of work. If you are considering moving to Spain, you would need to be confident that your finances are secure or you might end up having to return to your home country after failing to find employment. Tied in with the issue of employment, comes health cover. Unless you are employed, self-employed or retired, (thus qualifying for cover under the Spanish health system), you will be required to take out private health cover. The cost of living is really only half of the equation. Salaries and wages may be very different in Spain from what you are used to elsewhere. What is important is what is left each month after you have paid for your essentials. Fluctuation in currency exchange rates can make a huge difference to you if your source of income comes from outside of Spain. For example, when we first came to live in Spain ONE BRITISH POUND bought us ONE EURO AND FIFTY CENTIMOS. Very handy when we were purchasing our house. However, a couple of years ago, and completely outside of our control, we only received just ONE EURO AND EIGHT CENTIMOS for each BRITISH POUND – a staggering drop in income of almost one third. 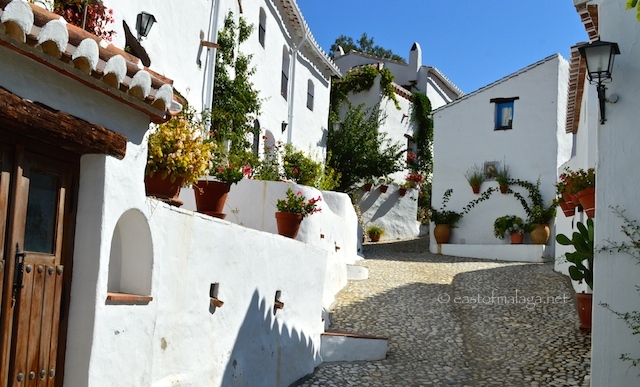 Spanish houses in this area are built to keep out the sun in summer rather than to retain heat in winter. With tiled floors, small windows and inadequate heating systems, houses can be surprisingly chilly during the winter months, making them expensive to heat. Whilst some costs are much more favourable in Spain (for example our cost of IBI is about one quarter of the cost of a similar property in the UK for Council Tax), other costs are significantly more (i.e. when purchasing a property, costs amount to approx 11% of the purchase price). You might have to factor in the cost of flights back home to the UK (or your home country) to visit friends and relatives. Often these can be bought through budget airlines for reasonable prices – but what if you need to return quickly for a family emergency? Then there is the question of taxes – not only of the personal variety, but also related to any property purchase. There are many factors at play, depending on personal circumstances, and whilst I often receive messages from visitors to my blog regarding such matters, I am not a tax expert and would always recommend you seeking professional advice given your own personal financial situation. MY ADVICE: There are many more things to bear in mind when considering the cost of living in Spain, than the price of bread and milk. DO YOUR RESEARCH FIRST! How does the cost of living compare where you live? Have you ever considered moving abroad? Edited to add: When you’ve read this article, make sure you also look at my up-to-date Cost of Living in Spain: (Málaga edition) for July 2015, now available HERE. Many people find themselves reading my blog because they have searched for the term “Cost of living in Spain“. In August 2012, I posted my first article about the cost of living here in the Axarquía region, east of Málaga, and have continued to write updates every four months throughout the past year. They have proved to be some of my most popular posts. Of course, all the information is relative. What is right for one person will be totally different for another. We have found that living like locals – eating seasonal fruits and vegetables, buying Spanish brands and eating out in bars and restaurants full of Spaniards, has enhanced our experience of moving abroad. 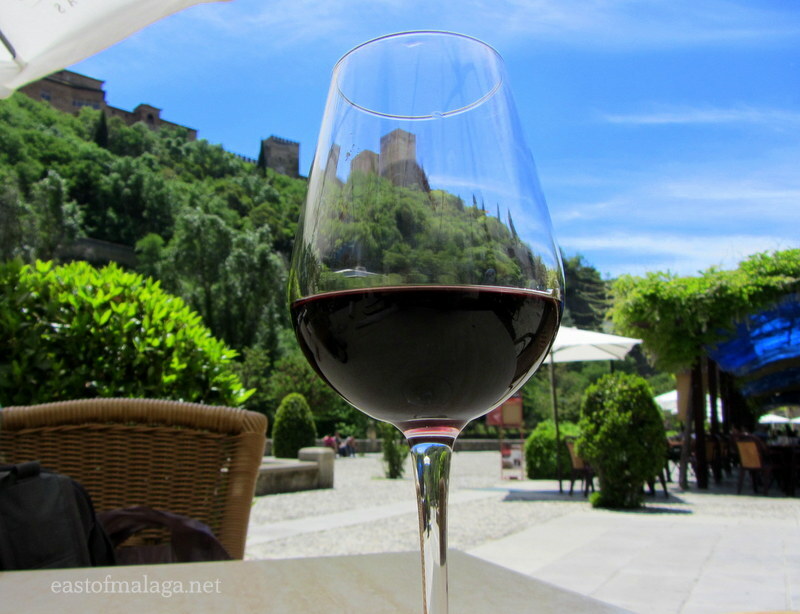 If you move to Spain and your choice is to buy only international branded food and drink, or dine out at tourist restaurants, then your cost of living will be considerably more expensive than mine. Bear in mind that the costs I will publish are relevant to me, living here on the eastern Costa del Sol. 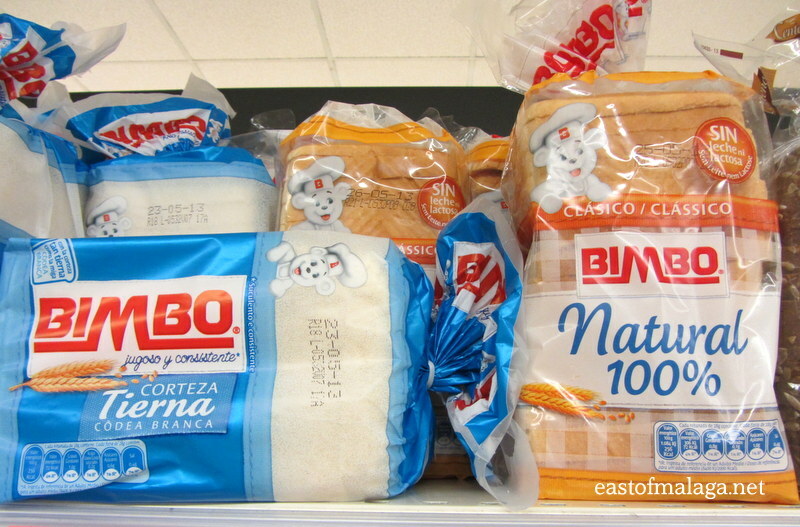 Prices in other areas of Spain may be different. 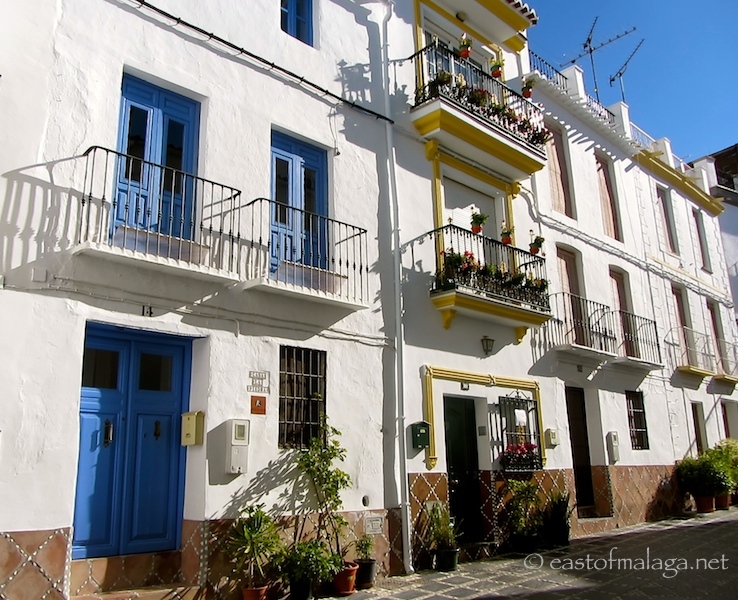 We moved to Spain eight years ago, and for the first twelve months rented a townhouse in the village of Frigiliana. We wanted to experience a full year, during every season, before we committed to purchasing our current home. I would recommend that course of action to anyone considering moving abroad. Most people know about the financial crisis affecting Spain at the moment, so I wont go into the price of houses or apartments. Search Google for estate agents in Spain if you´re interested, and you´ll find out far more information than I can give you here. If you do decide to purchase, you will most likely need a sizeable deposit and may find difficulty obtaining a mortgage, should you need one. Bear in mind also the fluctuating currency exchange rate between your home currency and the Euro if you need to transfer large amounts of money into Spain. Fortunately for us, when we bought our house, the exchange rate was €1.51 for each British pound sterling (£1). Today’s rate would only give €1.16 for each British pound – a considerable difference. You can find a lovely apartment to rent, with 2-3 bedrooms, 1-2 bathrooms and a communal pool, on the coast but away from the main tourist area, for €450- €500 per month (on an 11 month contract). In more rural areas it would cost less, or in urban/touristy areas the prices would be higher. It’s easy to find a detached villa with a private pool and a large garden for €1000 a month (and often less). So, when you compare the price of some rented accommodation, in a not very nice area of many cities in the UK (for example), you can see the attraction for people wanting a cheaper option, living in Spain. MY TOP TIPS: It´s only when you are actually here in Spain that you can discover the full selection of rental options that are available. Almost everyone you meet knows someone who has an apartment to rent, and many of these will never find their way onto any English language website. If you´re serious about renting a place in Spain, get yourself over here and start asking around. You could also try haggling over the cost of the rent – the worst they can say is ¨No”! Like many places in the world, the cost of household utility bills has risen considerably over the past few years. Electricity: For a 3 bedroom/2 bathroom detached house in the countryside with a swimming pool, we pay around €100 per month. The cost of consumption for us in winter is for heating and lighting, whereas in summer it’s for lighting and the swimming pool pump running for 8 hours a day. Added to that, we also have air conditioning units in the living room and master bedroom, though we use them sparingly – preferring to open windows during early morning and late evening. Sometimes though, especially in July and August, you just have to put the air-con on! 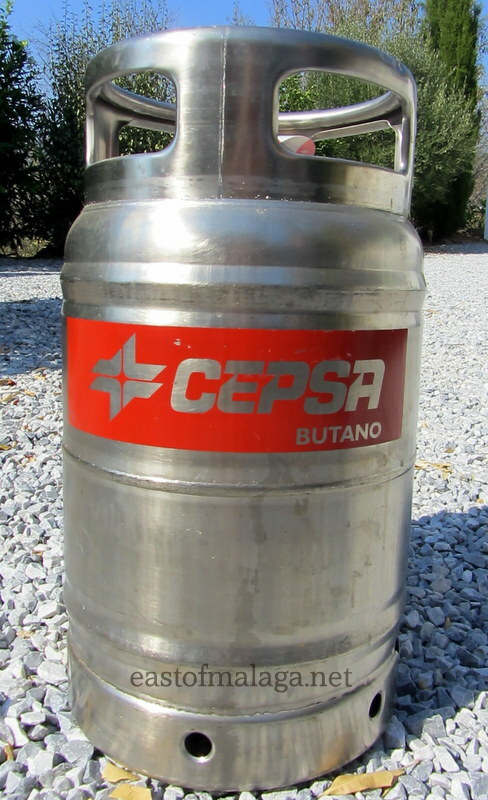 Gas: We are not connected to a piped gas supply here, so we use bottles of butane gas. This is a common feature throughout many areas in this part of Spain. A year ago, a 12.5kg bottle of Butane gas cost €16.45. They are now €17.50. For us, one bottle lasts (on average) three to four weeks for two people, although this could be longer in summer, (depending on how many visitors we have), for all hot water, showers and cooking on a gas hob. Last September we had a new, much more efficient gas water heater fitted and, even though it has a larger capacity for water heating than the previous one, it uses significantly less gas. Water: We are not connected to mains water because we live in the countryside, so when we bought our house part of the purchase cost was for a share in a local water company. We have a 14,000 litre water deposit in which to store our house water. Our water share gives us an allowance of up to 17,500 litres of water each week at reduced cost, though if we use more than this, the price rises steeply. Needless to say, we don´t use this amount of water, even allowing for swimming pool top-ups and garden irrigation in the summer months. Our water company, Patamalara, send out their bills every two months, and some of the cost appears to depend on the amount of repairs that have been undertaken on the system. Over the past twelve months our annual water bill has amounted to €97. IBI or Council Tax: Paid yearly to the local council. This year’s bill is €337 – the same as it has been for the past five years. Bear in mind, we don’t have a rubbish collection here as we live in the countryside, so we have to take all our household waste to one of the collection centres in a local village – but this is no problem as we take it when we are on our way somewhere. When we lived in the UK, we used to pay four times this amount – over eight years ago! Telephone: Living in a mountainous area of the countryside, Telefónica (the largest fixed phone and ADSL operator in Spain) are unable to supply us with land-line telecommunications. We therefore rely on Skype (via the internet) for most calls (which are free to other Skype users, or by using credit, if not) and have a pay-as-you-go mobile phone with Movistar (also owned by Telefonica). Internet: We use a wireless internet option costing €29 (inclusive of IVA tax) per month, with unlimited downloads (within reason). Speeds up to 3 Mbps. House and Contents Insurance: Based on the re-building costs of the house, including contents, we pay €227 per annum with Linea Directa. The cost of motoring in Spain has risen considerably over the past few years. The price of Diesel (gasoil) at the Repsol garage at Torrox Costa is €1.42 per litre. Unleaded petrol (gasolina sin plomo) 95 Octane is €1.52 per litre. As in most countries, branded petrol stations such as Repsol are often more expensive for petrol and diesel compared to supermarkets and hypermarkets such as Carrefour. New cars are expensive in Spain, and even though advertising billboards might seem to offer competitive prices (for example using Plan PIVE – a government help scheme offered when trading in a ten-year-old car for a brand new one), the reality is that many special deals are often only available when taking out expensive finance agreements. We found this out for ourselves this summer when we changed our 9 year-old Peugot 307 for a six-month-old Peugot 308. Cash is NOT king around these parts, it seems. Second-hand vehicles (often with high mileage) hold their values well in Spain, making a comparable model of the same age in the UK (for example) much cheaper. Car tax (Impuesto vehiculos traccion mechanica) is based on fiscal horsepower (which bears no resemblance to the mechanical horsepower of the vehicle) and is a means by which the taxation is calculated. For our Peugot 308 the cost is €51 per annum. Our car insurance for an almost new Peugot 308 1.6 E-HDI (with Linea Directa – the Spanish equivalent of Direct Line in the UK), for fully comprehensive cover with legal assistance included, and an excess of €150 costs €570 per year. There are some toll roads on the western Costa del Sol, but fortunately none in the Axarquía, east of Málaga. Spain’s public transport system is relatively cheap and reliable. Trains: Because of the mountainous terrain there are no trains running through La Axarquía, though you can catch a train from Málaga to many other Spanish cities, including Granada, Seville, Córdoba, and Madrid. I can certainly recommend the AVE train (Spain´s equivalent of the Bullet Train) as an alternative to budget flights, with favourable prices being found in advance, online, via state-owned train operator, RENFE. Buses: The main bus operator here is Alsina Graells (ALSA for short). Their website is in English, and from here you can study bus schedules and purchase tickets in advance of your trip. There are generally plenty of buses between towns and cities, and they usually leave on time. Buses may be infrequent to remote villages in the Axarquía, with often only one bus per day or none at all at the weekend. The cost of a bus ticket with ALSA, from Nerja to Málaga, (approx. 60 kms) one way is 4.43 € or €8.02 for a return trip. Seriously: Would you buy these products? 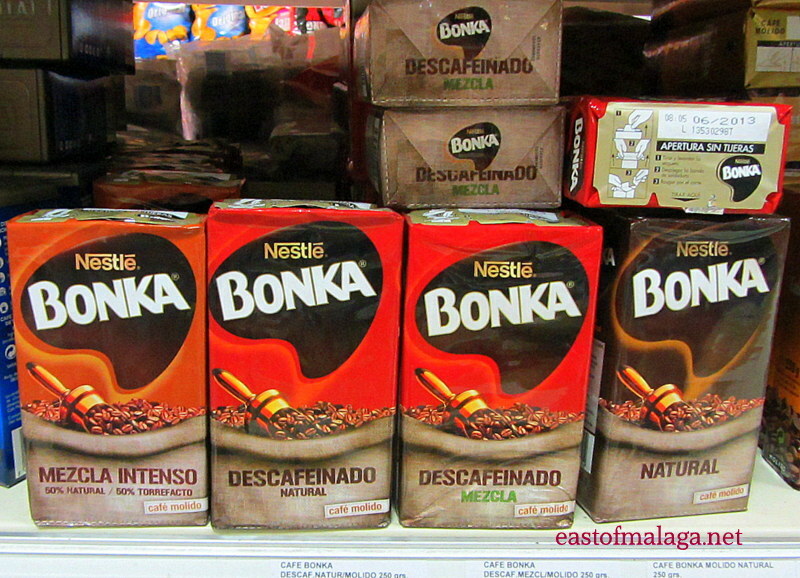 I often have a little chuckle to myself when I am shopping in a Spanish supermarket. Seriously, would YOU buy some of these products? 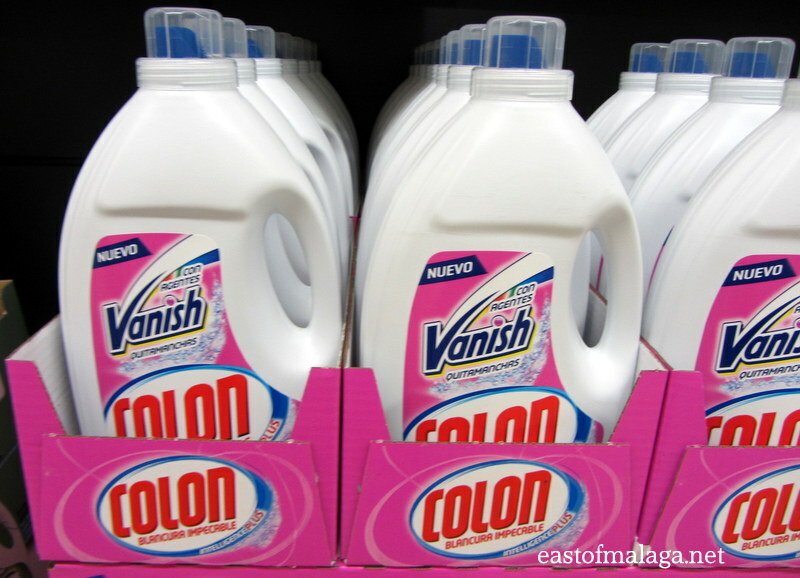 Now, call me fussy, but I can’t bring myself to wash my clothes in Colon Vanish washing detergent! 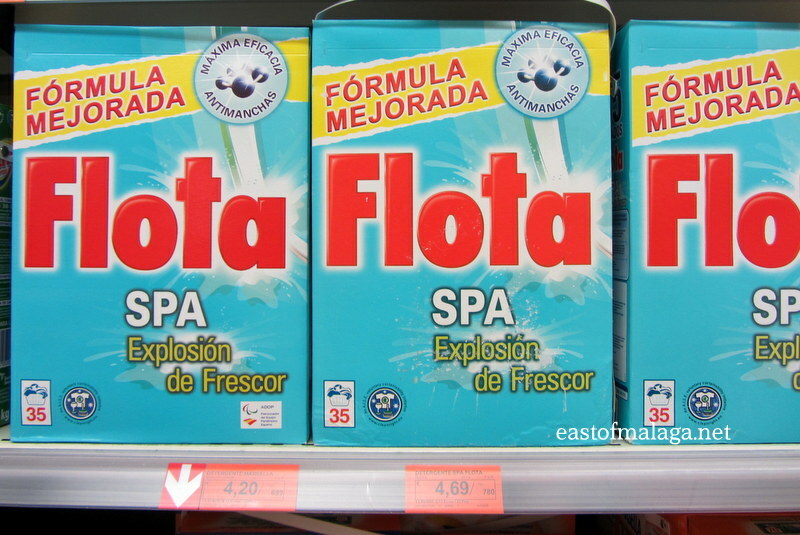 or (possibly) even worse, Flota Spa washing powder! 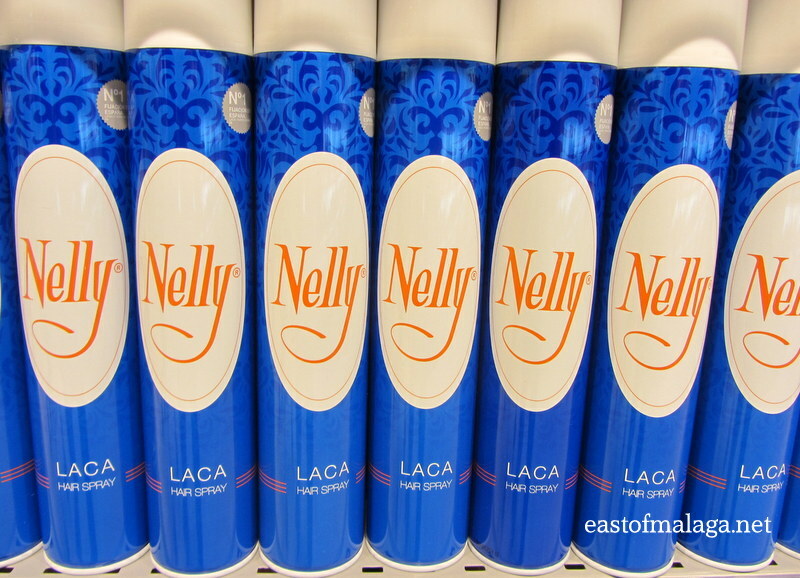 Have you spotted any products in other countries that sound strange or amusing in your own language? You will let me know, won’t you? LET’S HAVE SOME FUN!